Broomfield CO - Terracina Villas| Brand New Luxury Furnished Corporate Apartments in Broomfield Colorado. - Apartment for Rent - Housing in Boulder CO, Rentals, Real Estate, Homes and More! Home>Terracina Villas| Brand New Luxury Furnished Corporate Apartments in Broomfield Colorado. 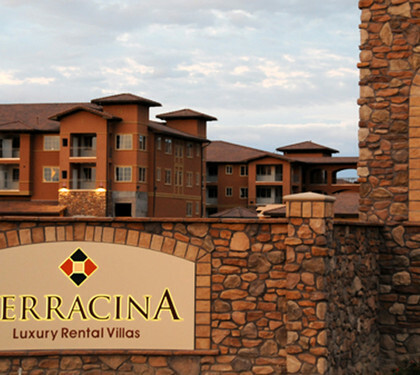 Terracina Villas| Brand New Luxury Furnished Corporate Apartments in Broomfield Colorado. Beautiful new furnished corporate apartments in Broomfield CO! This is corporate housing at its best. A cost effective and comfortable alternative to Broomfield hotels and extended stays. These villa style apartments combine the best of Italian style with modern-day conveniences and luxury amenities for the discriminating business traveler and those in seek of quality temporary housing. Enjoy the Colorado lifestyle from your apartment nestled at the door step of the Rocky Mountains. This property is in the ideal location, located directly across from the Flatirons Mall and Interlocken Business Park, with easy access to Boulder, Denver, and Denver International Airport. At Terracina Villas every day feels like a long, relaxing weekend at your new home away from home! • Fully furnished and tastefully decorated with all the comforts of home. • Housewares, cookware, dishes, linens, towels- all included! • Wireless High Speed Internet included. • 32 inch Flat Screen LCD TV with Cable Channels included. • All utility bills included.